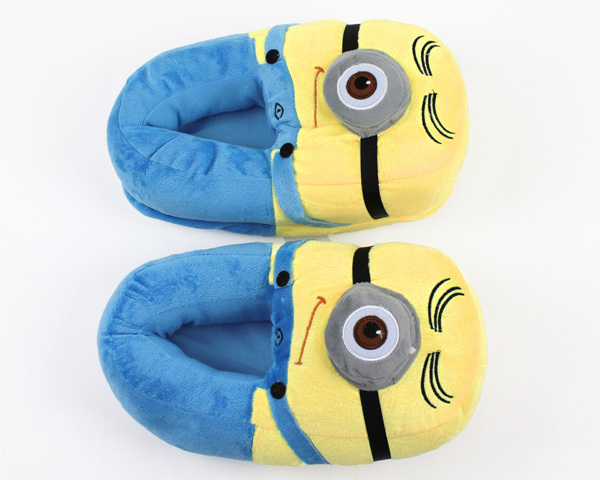 Sweet, lovable Stewart! 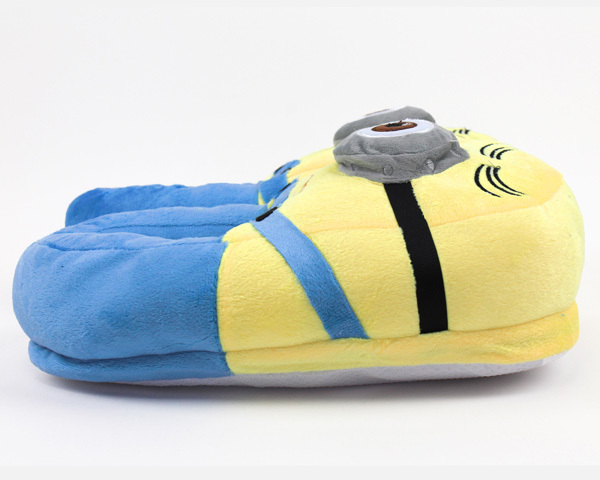 These minion slippers are just waiting to become your new pal. 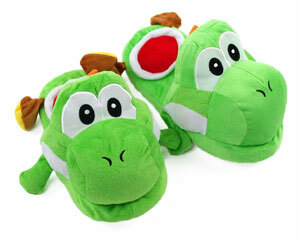 Plush and comfortable, these slippers are full of fun and provide full coverage a ample warmth! 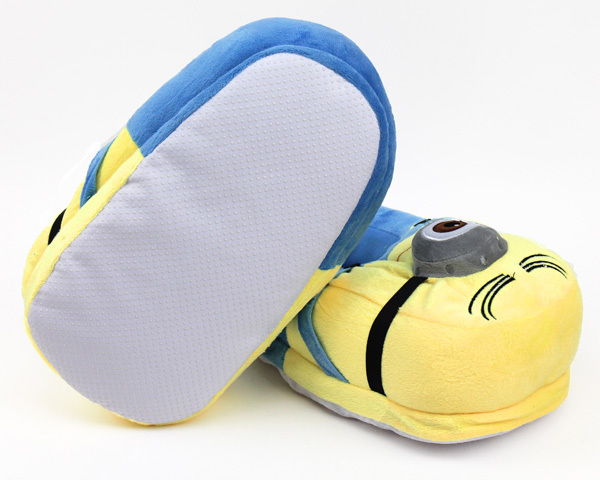 A sturdy sole and cushy interior make these minion slippers so cozy that you'll never want to take them off! 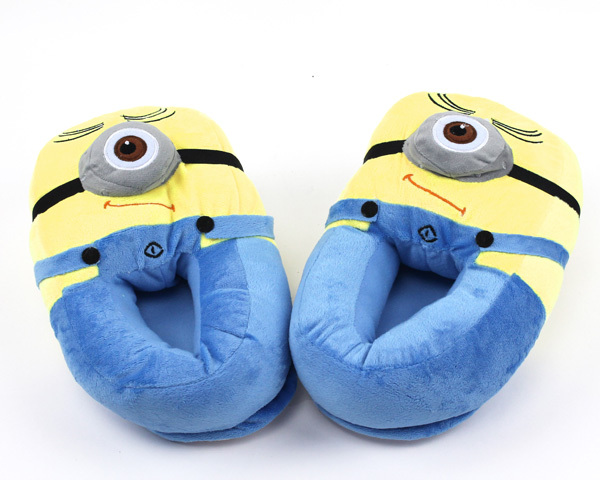 Play video games, play the ukelele, and avoid working with Gru in the Stewart Minion Slippers! 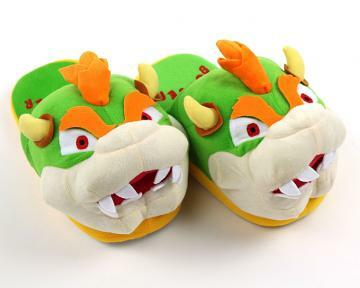 Your feet will be saying "Tulaliloo ti amo". 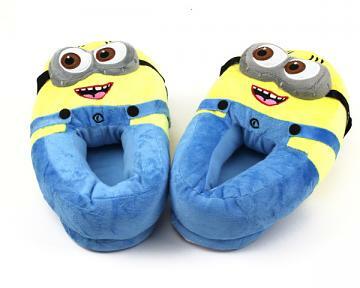 We love you.